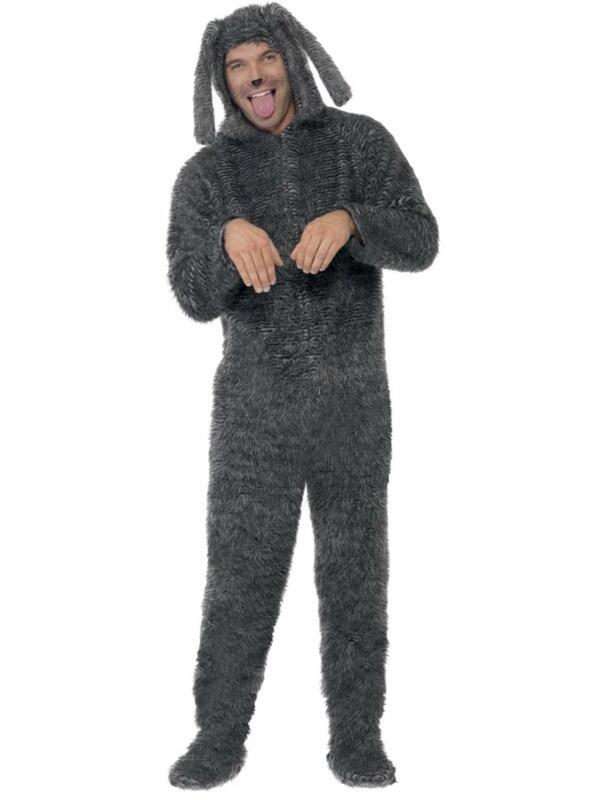 With our amazingly cute Fluffy Dog Fancy Dress Costume you can look like the cutest canine in town and impress the other hounds! 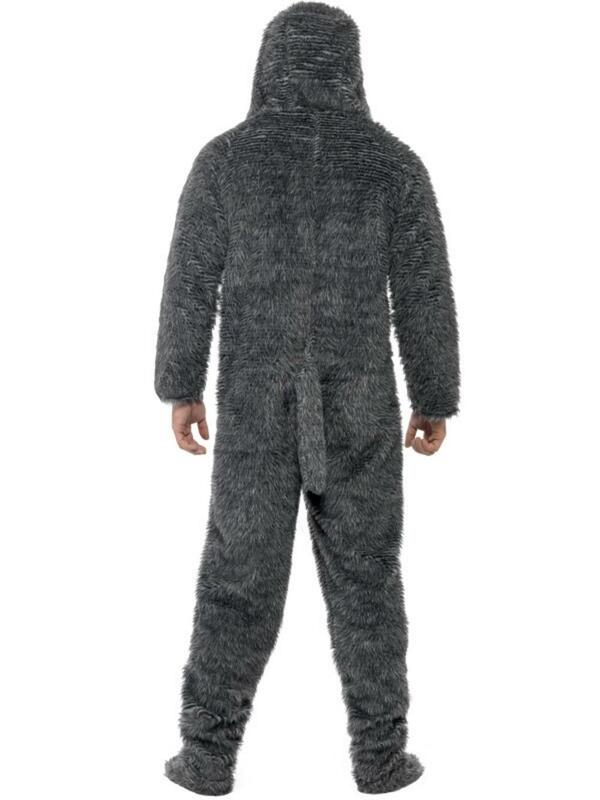 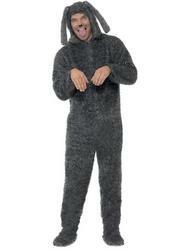 The adult dog costume includes an all in one grey fluffy jumpsuit with zip up front and attached hood that is decorated with floppy ears. An adorable costume to rival your pet pooch at any fancy dress party and a popular choice for animal or zoo themed parties.